Inspector Marmalade's Notepad: C'or blimey! look at all that snow! C'or blimey! look at all that snow! 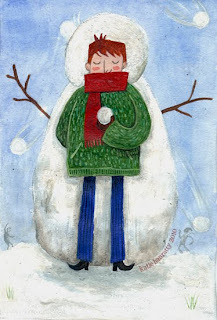 Watercolour picture inspired by all this snow we have been having lately.